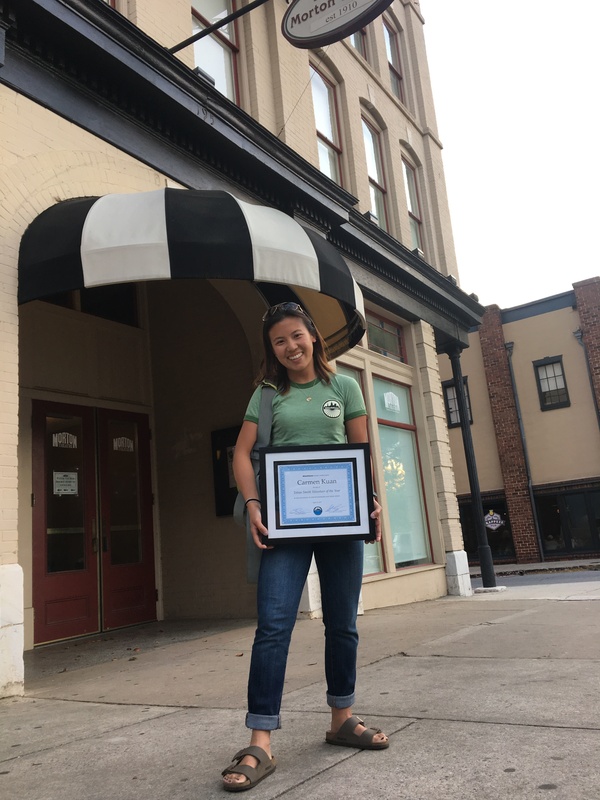 We are pleased to announce that we have named Carmen Kuan the 2017 Tobias Smith Volunteer of the Year. Carmen started with us in February 2016, and since that time she has logged over 160 hours of shop time, or four full work weeks! Since she started Carmen quickly moved from novice mechanic, to dependable teacher, to trusted member of the governing council of the Bike Recycling Program. She doesn’t just “show up” at the shop: she bounces in, and if you’re lucky you’ll get a high five too. Carmen is an essential member of the BikeAthens community, and all of us who work with her are enriched by the experience. Thank you and congratulations, Carmen! 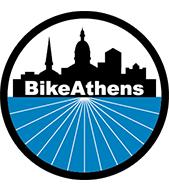 In 2014 BikeAthens lost our young friend Tobias Smith, whose enthusiasm and grace were a bright light in our Bike Recycling Program workshop. In his honor, we created the Tobias Smith Volunteer of the Year award.